Soft, relaxed and super easy to wear the Jamila printed jersey top makes getting ready in the morning a breeze. Made from an incredibly comfortable fabric, we have combined a plain cotton jersey with a unique printed Viscose back panel, with a button up detail. 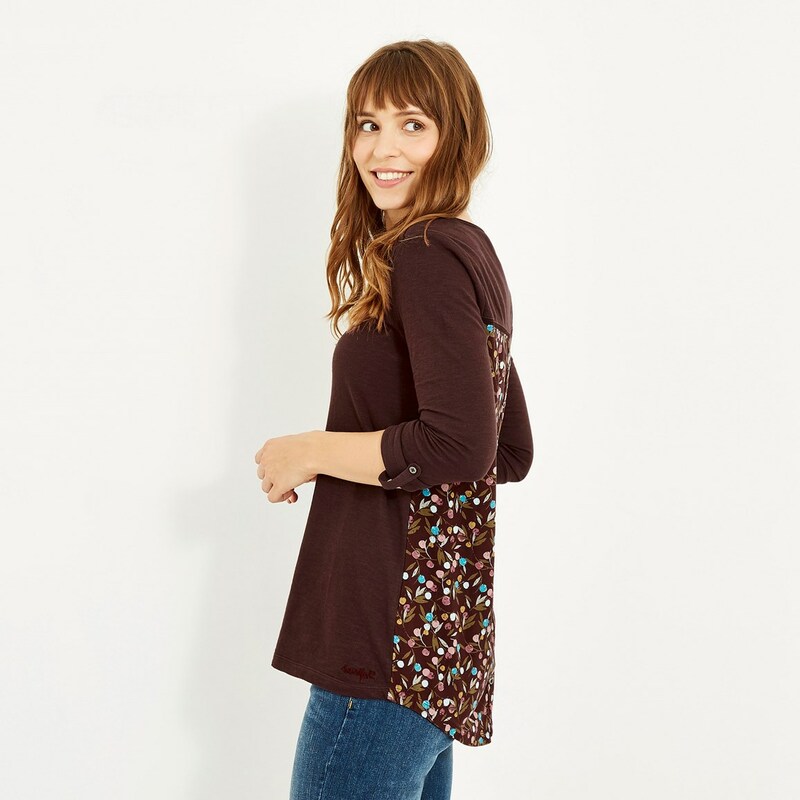 The dropped back hem and relaxed fit will look great over your favourite pair of jeans, and if you're enjoying some sunnier days then this versatile Jamila with adjustable sleeves will help you to make the most of the warmer weather. Really liked the design and fit of this garment. However I noticed on one of the shoulder seams, the stitching has come undone and there is a hole developing. 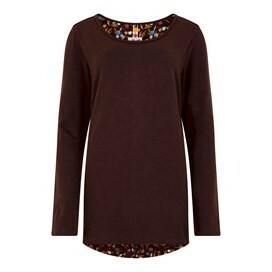 This is a very comfy top with a pretty design on the reverse. Well worth the bargain price! Unsure how the floral back would look but it looked great! So pleased with this top. The fit is excellent and finish is superb! Beautiful fabric - jersey materials but substantial weight. 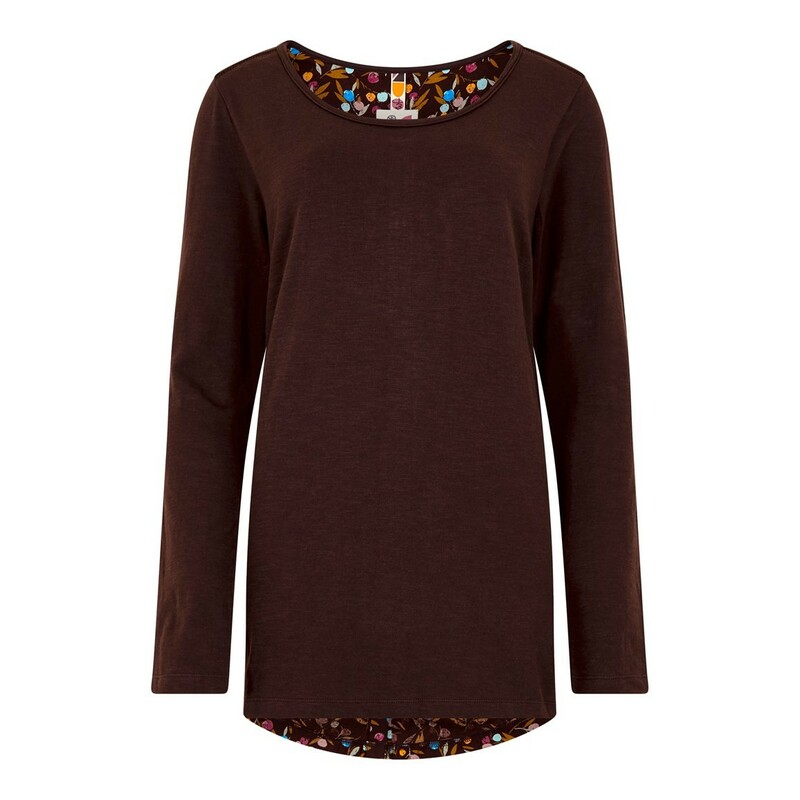 Smart, plain front, colourful patterned button-feature on the back. Just lovely!